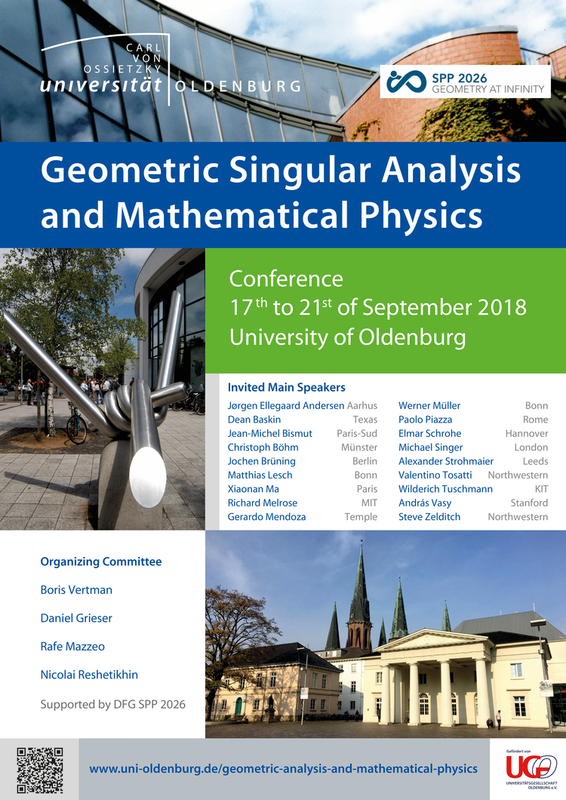 The conference is supported by the DFG priority programme 2026 ‚Geometry at infinity‘. This conference will be held from September 17 - 21, 2018 at the Wechloy Campus at the Carl von Ossietzky University Oldenburg. The workshop aims to bring together experts working on the geometric aspects of partial differential equations, and their applications in mathematical physics. Young researchers are particularly encouraged to attend. Limited financial support is available (please contact the organizers).